Posted on May 24, 2010 by Kathy T.
Featuring Alex Chang, Sloane Strader, Sherry & Stan Sullivan, and Noel Jiminez, with special thanks to Grandpa for his coffee (the best ever) and Shirley Smith for her hospitality. His words about champions not being made in gyms are especially true for the LaVergne Boxing Club. In fact, the emphasis that Mike Rodgers places on his boxers is – in this order – God, grades, and gloves. Mike began the LaVergne Boxing Club, along with LaVergne Police Officer Alex Chang and Coach Kevin Page, two years ago in his Madison Square subdivision garage. The boxing ring was drawn on the floor and kids from the neighborhood came to learn. 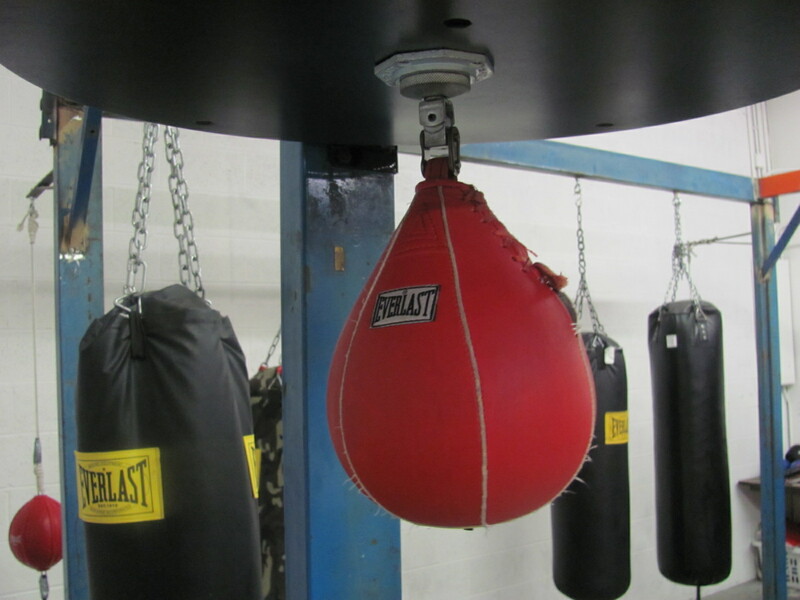 Pieces began falling into place when they secured the facility: parents volunteered to paint, they picked up a boxing ring in Mike’s native Little Rock, Arkansas, and other gyms from Knoxville to Memphis donated boxing equipment. In most boxing organizations, the athletes do not really know where they stand unless they are a championship boxer. Mike felt the martial arts training models were better because of the graduated structure of earning belts. With this in mind, he developed training style unique in boxing: the A-Team, B-Team, and C-Team. To be a member of the A-Team, boxers must earn all C’s or above in school. If a grade drops below a C, the boxer is dropped to the B-Team until the next progress report shows grade improvement. Beginners are automatically put on the C-team while they learn the basics of how to stand and how to jab, along with general conditioning that includes jump ropes, mountain climbing, and other calisthenics. Children starting at the age of 8 can join, and the organization is open to individuals up to age 35. Boxers ages 18 and over must undergo a background check and all athletes must be a member of USA Boxing, the national governing body of amateur, Olympic-style boxing. The LaVergne Boxing Club is open both to boys and girls, men and women. Members of the A-Team compete every weekend. When they arrive at a competition, they wear white shirts, black pants, black ties, and black shoes because Mike feels it is important for the youth to learn life skills, including a well-groomed appearance. When they first began competing as the LaVergne Boxing Club, their neat and tidy entry was sometimes joked about. But then something happened… the club started winning. Then they started winning everything. Boxing was just a way to pay bills while Mike pursued a career in music. In 2004, he won critical success with his song “Honkytonk Hitman” and Music Row Magazine compared his true country style to Dwight Yoakam’s. Currently, Mike is concentrating on the annual Indie Outlaw Show held during the CMA Festival, scheduled Saturday, June 12th at Big Shotz, 115 2nd Ave N. in Nashville. Proceeds from the show – which features Mike along with other performers like Buddy Jewell, Ray Scott, Billy Yates, and more – will go to a charity. Tickets are $15 and can be ordered online at honkytonkhitman.com. Mike earned the nickname “Honkytonk Hitman” when he showed up to a boxing match wearing swim trunks and a cowboy hat, and then defeated his opponent. Today, all the LaVergne boxers have nicknames that are given by the coaches, based on their fighting style. How “Snowcone” earned his name is unclear, but Sloane Strader is already on the A-Team after just eight months. The 11th grade student at LHS said it hurt a little when he started boxing, but only because he didn’t know what to do. He learned to put his hands up, move his head, and now when someone actually gets a solid shot, he just shakes it off. With this kind of grit and determination, the club has produced something the community never had before: a finalist for the National Silver Gloves competition. Sean Sullivan is now rated Number Two in the country. In addition, Paris McCullough is the first person from LaVergne to make it to the National Golden Gloves championship where he proudly made it past the first round. That their son went from being a non-athletic couch potato to competing at a high level on the national stage is thrilling for Sean’s parents, Stan and Sherry Sullivan, but they also appreciate that the program helped teach self-discipline. Noel Jiminez’s son is no longer a struggling student, “When my son started, his grades weren’t good, but with the discipline they teach the kids and the emphasis on grades, he’s improved a lot in school.” If his son keeps it up, he may join the A-Team Roster. The A-Team of the LaVergne Boxing Club include: Sean Sullivan, Rotel Clemmons, Alexander Chang, Sloane Strader, Joseph Kibodeaux, Eduardo Aguilar, Dylan Albanese, Paris McCullough, Byran Morales, Michael Rodgers, Jr.., Rogelio Pacheco, and Journey Button-Hale. With determination and practice, the other 36 members of the B-Team and C-Team may follow in their footsteps and move up to the A-Team. The doors of the LaVergne Boxing Club are open every Monday through Friday from 5:00 – 7:00 p.m., though summer hours begin soon. The gym is located at 5499 Murfreesboro Road, in Suite I. If you’re coming into LaVergne from Smyrna, you pass Fergus Road and there’s a yellow group of buildings on the right (Rim Shot is located there… look for the tire rim display). The gym is in the back – the last building on the left, last office on the left. 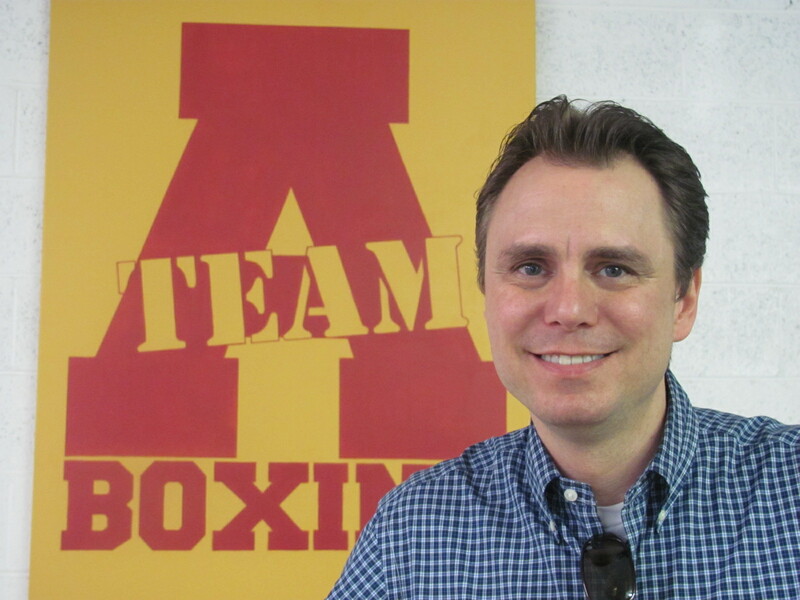 Nice article Mike… You know that I am a huge supporter of your efforts and a big fan of what this boxing club is all about! Most do not realize that the City of La Vergne also pitched in on getting this going. GREAT job by all who helped in this venture. I am so proud of the work that is being done with the children of La Vergne. I am unaware of the city helping your La Vergne Boxing Club organization. Can you confirm for this audience. I believe the one that Senna is referring to is Club KO which is a different boxing organization. I’m sure you would love to receive funding from the city if funds are available for allocation. Might be something to definitely check into. Hey, I stand corrected. Shows how much I know about boxing!!!!! I am referrring to the one on Buchanan that is sponsored by the FOP. I am for any of the organizations that support our children. Mr. Rodgers please except my deepest apolozies for confusing the two. When it comes to our children here in La Vergne, I am always willing to help if possible. If you are a non-profit, you can apply for funding from the city. It is to late for this year’s budget, but maybe you can apply next year. I will be happy to talk with you regarding this matter. Thank you for what you do. Mr. Slinker, you can address me when I am wrong. I have big shoulders and certainly do not mind stating that I was wrong. With all of the financial problems this city has, do we really need to subsidize boxing? Don’t get me wrong, anything that gives kids something to do after school other than playing video games or joining gangs is great in my book. But it sounds like this organization is doing a great job without a handout from us taxpayers. They’ve got parents volunteering and they are doing private fundraising and have support from members of this community. If the city wants to spend money and help citizens out, how about eliminating the double charge on water and sewage? I spend about $60 a month in the summer watering my lawn because I have to pay for sewage when none of that lawn water goes in the sewer. Since sewage costs more than water, I could save $30-$40 a month by not having to pay for sewage treatment that I am not using. I know you can’t put a meter on sewage, but Metro has a policy where they don’t charge you extra on summer water increases, and Mt. Juliet averages your bills in the summer to compensate for pools and irrigation. I’m not sure what Smyrna does, but it seems like there is a good solution here, especially since Metro jacked up the rates on our sewage processing! I always love hearing from you!!!! The water and sewer is another full story that we need more time on!!!! I do understand what you are saying about the non-profits; however, I do beleive in taking care of our own. Yes there needs to be a stopping point, but the children are the ones who suffer when parents refuse to get involved. 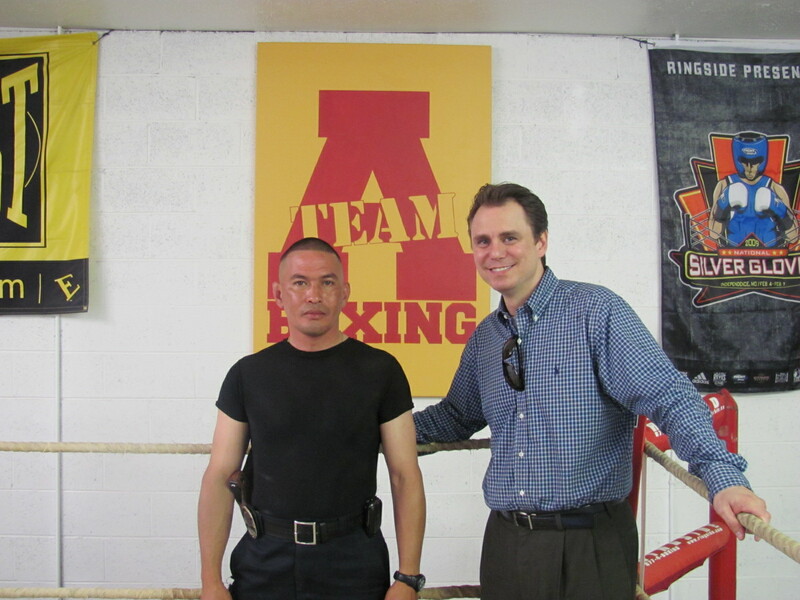 I have visited the boxing center on Buchanan and have personally seen what a positive enviroment the coaches are making for the children and are getting them off the street. The coaches have very high standards and expect the same from the children. I have not been to Mr. Rodger’s facility, but I do remember meeting him at the boxing place I was refering too. If memory serves me, he was helping them at the time. ( We all know my memory is 50 now) lol I guess what got me started on this whole matter is the city gives the YMCA 10,000 a year and I really want to support these type of organizations that are right here in La Vergne. You know me when it comes to supporting my CITY. Mike Slinker – No, we are not funded by the city of LaVergne. Club KO is the other boxing gym in LaVergne and they are run by the F.O.P. Club KO received $10,900 in September of 2009 to run their program and whatever money they were budgeted for this year too. Mrs. Mosley – No apologies are needed. It was a simple mistake that a lot of people in town have made. The LaVergne Boxing Club is a registered business that is a registered 501 (c) (3) non-profit organization. We operate from donations, fundraisers, parent’s money, volunteer’s help, and my own money. I envisioned a boxing program where every child or young adult could learn to box and compete for free every weekend there was a bout somewhere, a program where children were held accountable for their grades and actions, a program for them to learn life skills, and a place for them to learn about God. I believe that an amateur boxing coach or anyone else in the program should not be paid, nor should any profits generated from any amateur boxing event be used for anything other than the children. If there is work to be done on the facility i.e. painting, carpentry, welding, etc. then the coaches, parents, and volunteers should freely give their time and resources to fix it without compensating themselves with taxpayer’s dollars. My personal belief is if that the F.O.P wanted a boxing program of it’s own then they should have funded it themselves out of the dues that they collect each month from the officers. But if using taxpayer dollars were the only way for Club KO to exist then I would have to support their funding because I believe it is worth it for the kids of LaVergne. I have learned the hard way that great things can be accomplished on a shoestring budget. The most costly expense for us is our travel, and we do a lot of that. We travel every weekend to a bout somewhere and it usually takes 3-4 vehicles to get all of the kids there because we have so many boxers. No other boxing program has competed in as many bouts, won as many championships, provided all equipment and travel, all without charging the adults or using the taxpayer’s dollars. We are unique that way. No other boxing program within 100 miles or more of LaVergne can make that claim. We are very proud of that fact. This Saturday we are competing in Augusta, Arkansas where all of the winners will get championship belts. We have 10 boxers that are competing tomorrow. We would have boxed at Club KO’s event in LaVergne when they were having the bouts on the 22nd, but can’t now because we were already committed to the road date in Arkansas on the 29th. I encourage you all to go to the bouts at Club KO on Saturday night and root on their team as they compete. Even though the F.O.P. Club KO and the LaVergne Boxing Club are two separate organizations, they are both good for all of LaVergne’s children. This was on Fox News – 17 in February. It highlighted the program in LaVergne on television. A former professional boxer is using the sport he loves to teach structure and discipline to children in the mid-state. Two years ago, Mike “Honky Tonk Hitman” Rodgers opened up his garage to children who wanted to learn the craft. His students in La Vergne are learning some hard hitting lessons both in and out of the ring. Thank you Senna and Mike for your responses, you are both great assetts to our City! … of course the city could also give me some of that $10,000 for my own personal beautiication project – watering my lawn without paying for sewage! Thanks to all for good conversation on important issues. Mr. Rodgers thank you for your response and for the valuable info. Good luck Saturday. I would love to visit your place sometime and support your children as well. I am a great cheerleader. I know Alex and he is a great asset to our city. Thank you for forgiving me on my innocent mistake regarding the two different boxing programs. Senna, or whoever else would know – how much does the city spend on all non-profits each year?? I had heard somewhere it was over 200K, but I don’t know for sure. 200K would help out in hiring more police officers and firefighters. Then my next question is how much does Murfreesboro and Smyrna spend on nonprofits? I bet it’s less than 200K. The total for non-profits is 236,965. You make very valid points. I am going to party in the park right now, but when I get back I will post the list of no-profits that the city supports for your viewing. I would really like to see the list and amount provided to each non for profit. I sent the list to Kathy via email as I could not get it to post. I do not know what I was doing wrong. I am sure she will post it as soon as she gets it. How about solving your own problem? Watering your lawn….. Want no sewer fees on THAT water… get an irrigation meter installed by any plumber or a separate irrigation tap. Call water billing for details. And remember WHEN the last time your sewer and water fees were EVER raised. You should remember to thank the board and alderman for the NO increases year after year. Consider yourself lucky. I believe it costs about $2000 to have a seperate irrigation-only meter installed, and that is just the city’s charge. I’m not a plumber, so I would also have to hire a plumber to come hook it up. Using my estimates it would take me about 9-10 years to recoup that investment. I may live in this house for 10 years, but I may not, so it’s not financially a good decision. As for the last time my water/sewer bill went up? It was a few years ago (2006?) when they added the stormwater fee. I believe it has gone up since then but I could be wrong. I believe you are making the point that many others have made – Metro jacked up our sewage costs and La Vergne has not passed that extra cost on to our water bills. While that sounds nice, La Vergne cannot print money. So you and I and every other tax payer in this city is paying the extra sewage cost one way or another, either through delayed projects (Waldron Road anyone??) or being overcharged in other area’s like irrigation. You bring up a very good point about the delayed projects in the city (specifically Waldron Road). This is one of the biggest hurdles the last few boards of Mayor/Alderman have had on their plates to complete; yet it seems that there is no one taking full ownership of overseeing the entire project from an elected official standpoint. There has definitely been alot of “sleeping at the wheel” going on…Where are those that say they want to make elected officials accountable and are available 24/7? This is the type of leadership LaVergne needs — someone who can finish the job! As most of you may have heard through several outside conversations, various media outlets and network social sites, I have been asked to give serious consideration to run for the office of Mayor in LaVergne. You will be pleased to know that all speculations will come to an end within the next several weeks, I plan to host an official media press conference at LaVergne City Hall confirming whether or not I will pursue the Mayoral office. I have completed a 4 year city plan, a complete financial review and analysis of the current budget as well as list goals in which the citizens of LaVergne may hold me accountable. I am well prepared to deliver a solid, competitive and intense campaign journey for the 2010 Mayoral race; however, I have one more confirmation to get before that occurs. As a courtesy and out of respect for the people in this town, I beleive I truly owe everyone the final word and decision. In the meantime, I continue working hard on wrapping up several community projects I have been working on as well as continuing helping LaVergne yield its first ever Community Garden harvest located behind the Senior Citizens Center. I’ll continue to keep everyone aprised of next steps. Be on the lookout for an announcement on Fox 17 News, ABC and Channel 4 for more details. *HobNob La Vergne launches its first weekly newsletter — Ongoing articles delivered throughout every school system in LaVergne and beyond. Local Businesses continue to be added to electronic distribution list. Good night everyone and I look forward to seeing each of you around town! The “community garden” is slated to replace the old PeeWee Ballpark?!? I thought that the land was being considered for a Dog Park. I have no problem with either idea, as long as the drainage issues are dealt with…just like the fields at Veteran’s Park, those fields flooded too! Dude you wont win because you havent served on the board of alderman or any other board full term. people want someone they know and can TRUST. Senna has a better chance of winning because she fights for the city and will work hard but you arent ever at any functions around town, i.e. party in the park, OTD, AND SO ON. If i remember right you came in 3rd on the last election and Senna had alot more voted than you!! HobNob isnt what everyone thought it was going to be….its really showing us online that HobNon doesnt work for La Vergne. People will remember alot when they go to the polls! I am glad Kathy didnt change this blog to HobNob because many of us don’t like HobNob but love This Is La Vergne Tn! where were you during the floods? did you go to the auditorium to help? I think not. The people of La Vergne needed help for those that are going to run for this election and I know of 3 that were there sun up to sun down. Senna and Chris and Candy. This makes a difference to people when the ones that want to run the city get out and get dirty to help them! Another comment about water: If you don’t want to pay for a separate water tap, there are ways to capture free water (rain). Rain barrels are inexpensive and a great way to conserve water. The EPA estimated that a rain barrel can save about 1,300 gallons of water during peak summer months. You buy them at lowes, home depot or online at any number of retailers. You can even make your own, there are many websites that offer instructions. Rain barrells are a great idea, but I have a decent-sized yard. 1300 gallons in one month isn’t enough to keep your lawn green in the heat of the summer. I read a story a short while ago about folks in Crieve Hall who converted their old septic tanks over to use them for rain water storage and irrigation. Now that is a great idea, but I would have to imagine the cost of digging a big hole in the ground for water storage would cost much more than even the water tap. Editors prerogative… I’m closing comments on this thread for 48 hours so the discussion about politics can jump to the Open Thread post (at the top of the This is LaVergne page). Thanks everyone. The LaVergne Boxing Club: A-Team will be starting the new 2011 boxing season on Monday, August 16th. All boxers will need to provide their own set of hand wraps and a mouthpiece. These items can be purchased from a sporting goods store for less than $10 for both. All boxers need to wear comfortable work out clothing and running shoes. Do not wear any type of jewelry to the gym. There will be no bling in my ring! If you are over 21 then you will be subject to a background check before you can begin working out. If you are under 18 you will need a parents signature. The program starts at 5:00 P.M. and ends at 7:00 P.M. Monday through Friday. Parents please do not be late picking your children up from the gym.